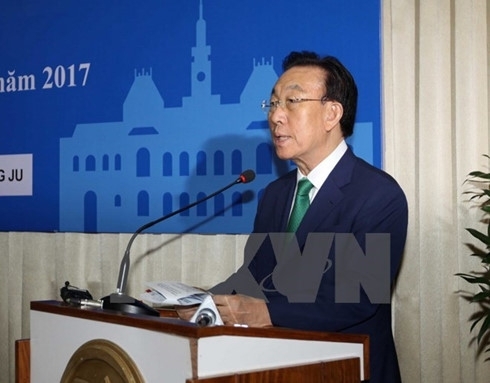 Secretary of the Ho Chi Minh City Party Committee Dinh La Thang lauded the efforts of Gyeongsangbuk-do province of the Republic of Korea (RoK) to co-organise the International Cultural Festival 2017 in HCM City late this year. 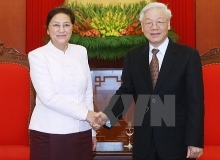 Meeting with visiting governor of the province Kim Kwan Yong in HCM City on February 21, Thang stated that municipal authorities and sectors will coordinate with the RoK locality to organise the festival. 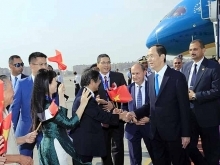 Informing the guest of HCM City’s investment and business climate, he affirmed that the city attaches importance to creating favourable conditions for foreign firms to invest in the city. About 20,000 RoK enterprises are investing in HCM City, significantly contributing to the locality’s development and promoting Vietnam-RoK ties, Thang said. 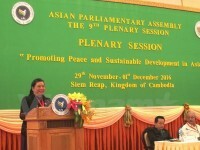 Kim Kwan Yong, for his part, said his country and Vietnam have similarities in history and culture which are the foundation for the two countries’ localities to foster cultural exchange and mutual understanding. He pledged that agencies of the Gyeongsangbuk-do province will work closely with HCM City to ensure the success of the festival. On the same day, the two localities held a ceremony to debut the co-organisation board of the festival, which will take place from November 9 to December 3. 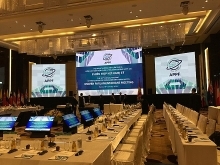 In September last year, officials of HCM City, Gyeongsangbuk-do province and Gyeongju city signed a Memorandum of Understanding on the event. As part of activities to mark the 25th founding anniversary of Vietnam-RoK diplomatic ties, the festival will include a series of activities such as art performances, cuisine displays, fashion shows, film screenings and trade promotion activities.